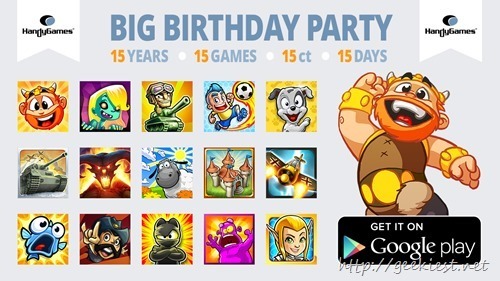 HandyGames are celebrating their 15th birthday on April 20, 2015. On this occasion they have decided to give their 15 Games for just $0.15 (INR 8.00). 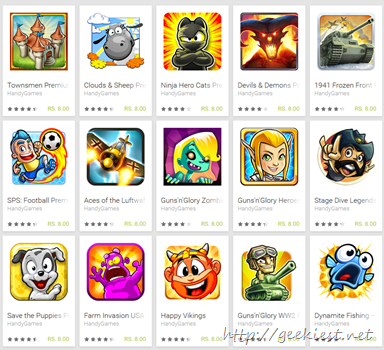 The games listed are of different categories and different play style. There are Free version of these games available, these 15 cents sale are of the Premium version of the games which will remove the ads. It is a good thing to get 15 Premium games for just $2.25. We believe that the offer may last till their birthday April 20, but it is better to buy them as soon as possible as they do not given any clear deadline.